New Deer Hunting Land, Now What? The season is within reach and you’ve found new piece of ground. This is the one, you simply have that gut feeling. But it’s a completely new piece of deer hunting land and it’s already July. 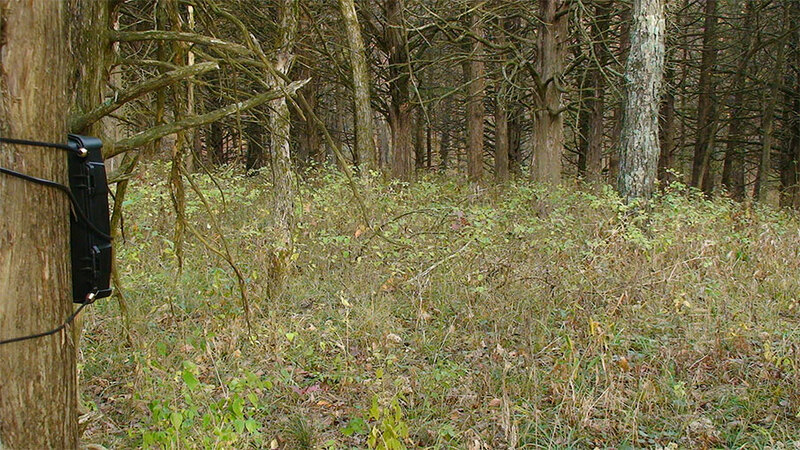 How can you learn this property and its deer before time runs out to punch a tag this fall? Nick Mundt and Travis “T-Bone” Turner, of Michael Waddell’s Bone Collector, both agree that at this time of year, you better get the trail cameras out there ASAP. Trail cameras are one of the most valuable scouting tools by providing 24/7 surveillance in an area. If you will be hunting public land this fall, be sure to check the regulations on trail camera placement; it’s illegal on some government-owned properties. If they are legal to use, protect them with a security/bear box and lock cable. The last thing you want is someone stealing your cameras. Sometimes losing the pictures is more painful than the camera itself. If you’re headed to the plains or large agriculture fields of the Midwest, glassing bean and alfalfa fields may be even better. Even though trail cameras are an amazing tool, there is still a relatively small field of detection in which the animal must come into in order for the camera to trigger. With many states having extremely tight regulations on baiting and minerals because of disease potential, attractants may not be an option. Grab a great pair of optics and find a good lookout point to observe. The key here is to make sure you have an exit route without spooking the deer in the field. Although the season is rapidly approaching, one of the first things I like to do on a new property is walk it on foot. I know you can learn a lot from topo maps and aerial photos, but I’m old school. I want to be out there seeing trails, old rubs and start gathering ideas for stand locations. Sure, a little pressure on the property might bump some deer around, but a one-time excursion likely won’t affect opening day. For those still looking for a property to hunt this year, don’t worry; there’s one out there. It may not be a big buck haven, but getting out and actually hunting is the fun part. If you have found one, it’s time to get started as punching your buck tag begins right now.